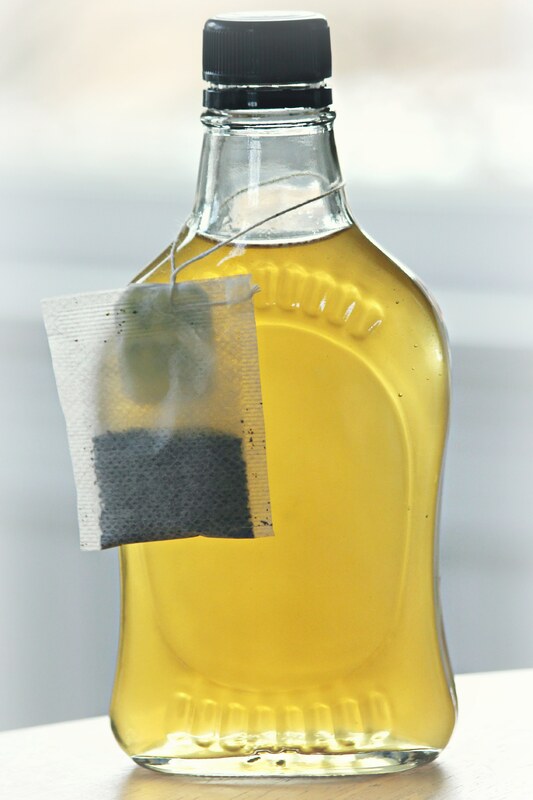 Place 1-2 tea bags into a cup or bowl, pour one cup of hot water over tea bags. Let steep until water has reached room temperature, discard tea bag. Stir in witch hazel, pour into storage bottle. Add essential oil and give it a good shake. 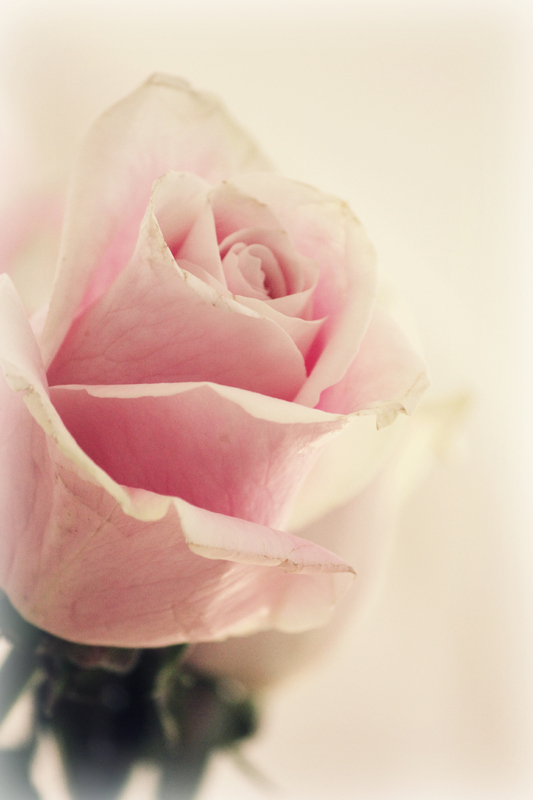 So easy and so good for your skin! I used jasmine green tea, so it has an extra floral-y scent. (I don’t think floral-y is a word but you know what I mean, right?) 🙂 Green tea has amazing antioxidant and anti-inflammatory benefits, witch hazel gently cleanses the skin, and lavender essential oil is also anti-inflammatory, anti-septic and anti-fungal. 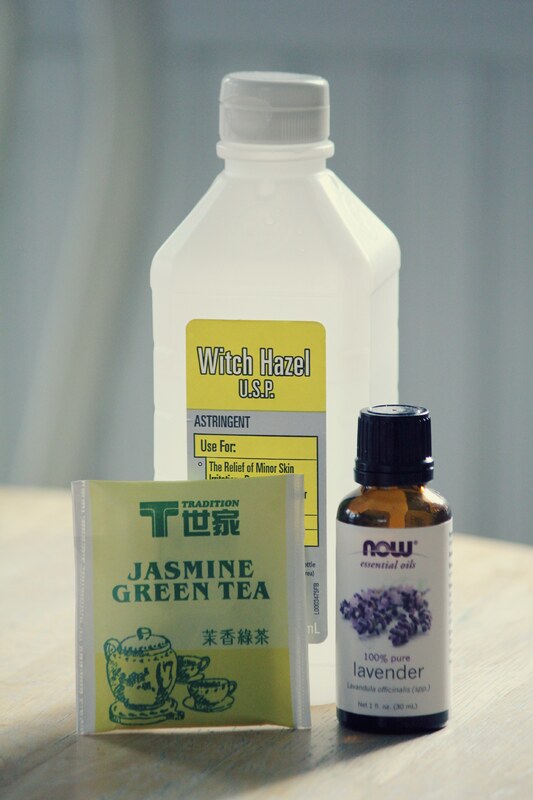 You could also use tea tree oil in place of the lavender but the lavender smells much better in my humble opinion. Apply with a cotton ball after washing your face and do not rinse. You could also store this in a spray bottle and lightly mist your face, be careful not to get it into your eyes. If you have problems with acne on other parts of your body, like your back, you could spray it onto your back. I have been using homemade toner for a few months now and have seen a big difference with my complexion. Use regularly and enjoy! 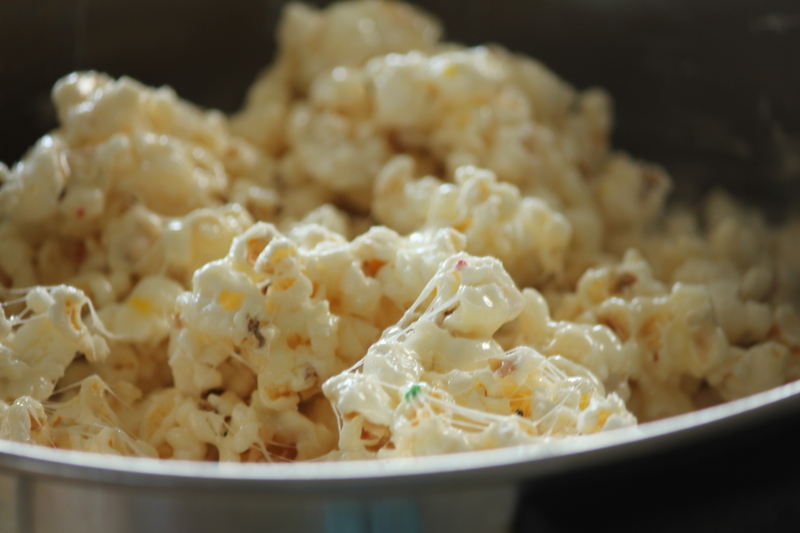 If you are still buying popcorn in microwavable bags you are wasting money! When you make it yourself not only are you saving money but you know exactly what is in it. No artificial colors or flavors, no extra oils! Look at the ingredients of the stuff they sell in the store, it does not sound very appealing! This way is incredibly easy, and you can still make it in the microwave! 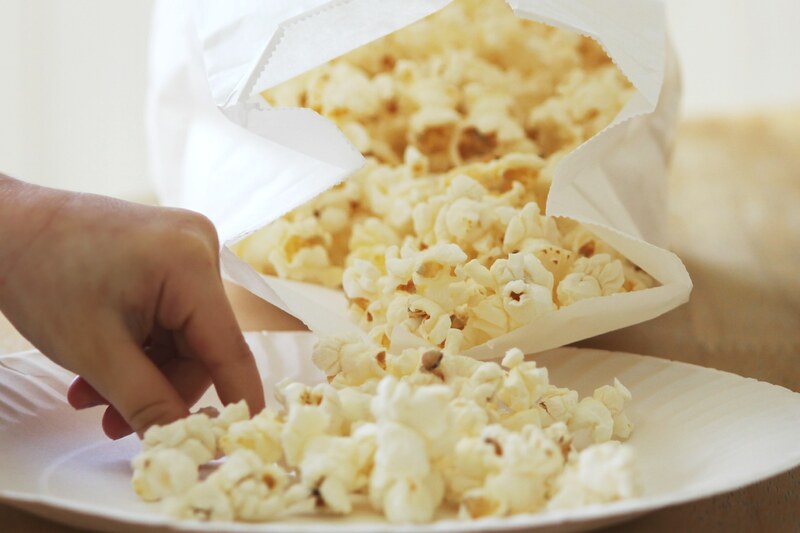 All you need is plain paper bags and the kernels. It is less than $1.50 for each of those. So for about the same price as a box of store-bought microwaveable popcorn you can get A LOT more popcorn and its healthier, yay! 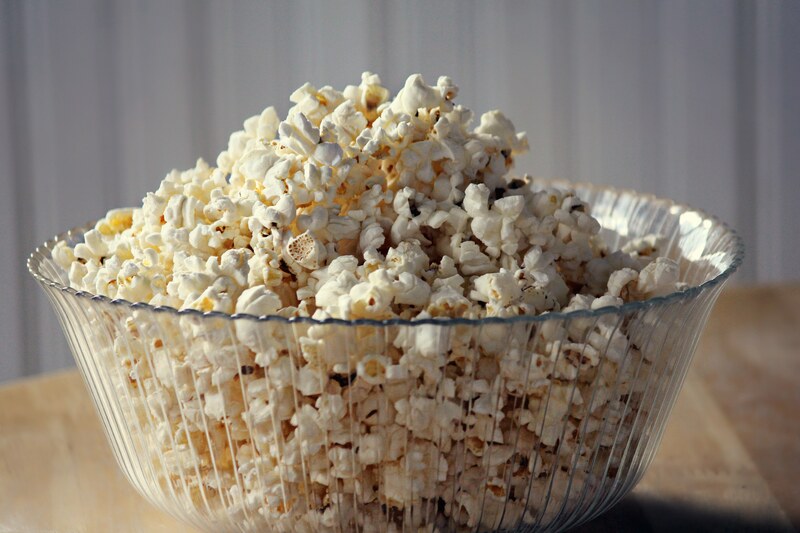 🙂 Did you know that popcorn counts as a whole grain, and 2 cups of it only has about 60 calories?! From 1/4 cup of kernels you get about 6 cups of popped corn, amazing right? 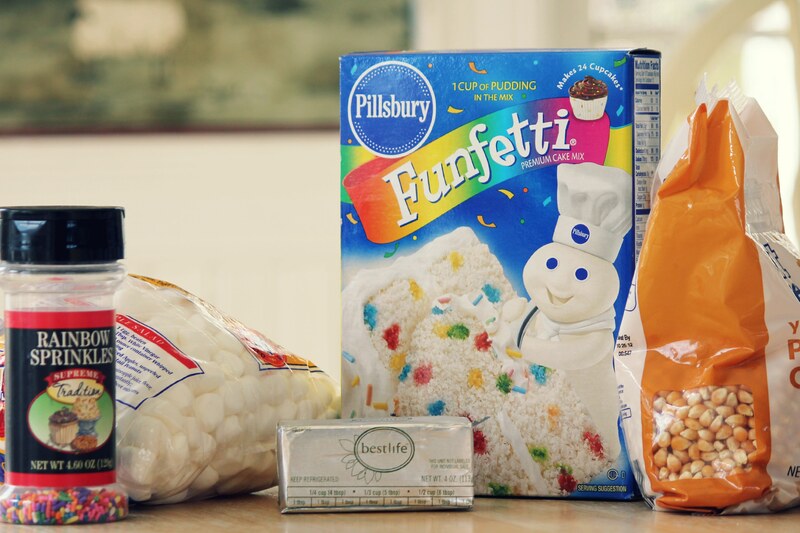 Ready to make some yet? 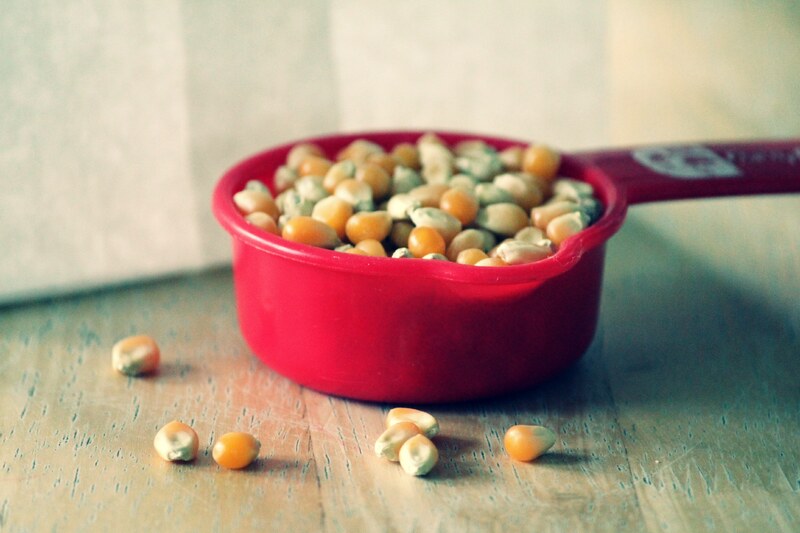 All you have to do is pour your 1/4 cup of kernels into a plain paper bag. Fold the top of the bag over twice and set it in the microwave standing straight up. 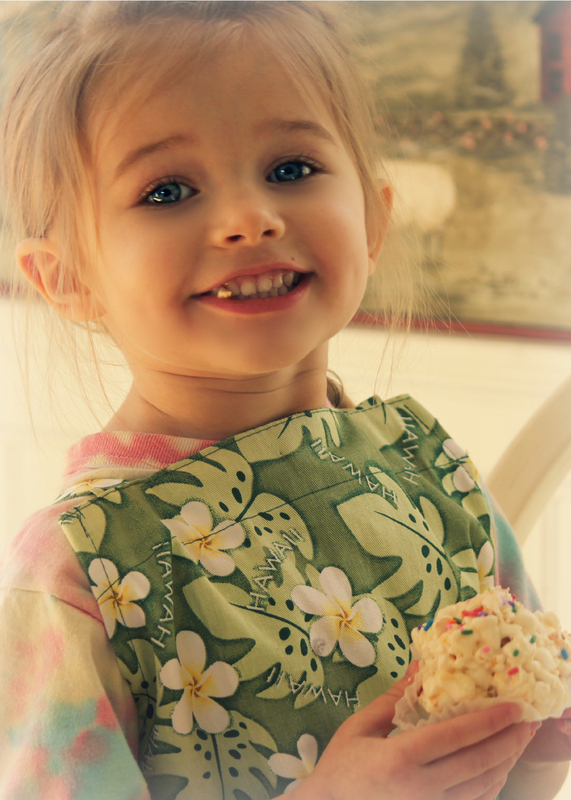 Cook time will very depending on your microwave, but between 1:20-1:30 is perfect for ours. The directions for cooking are basically the same as store-bought, when the pops are about 2-3 seconds apart its done. Now at this point you can eat it plain, smother it in butter like Paula Dean would probably do, season it with some herbs & spices…. 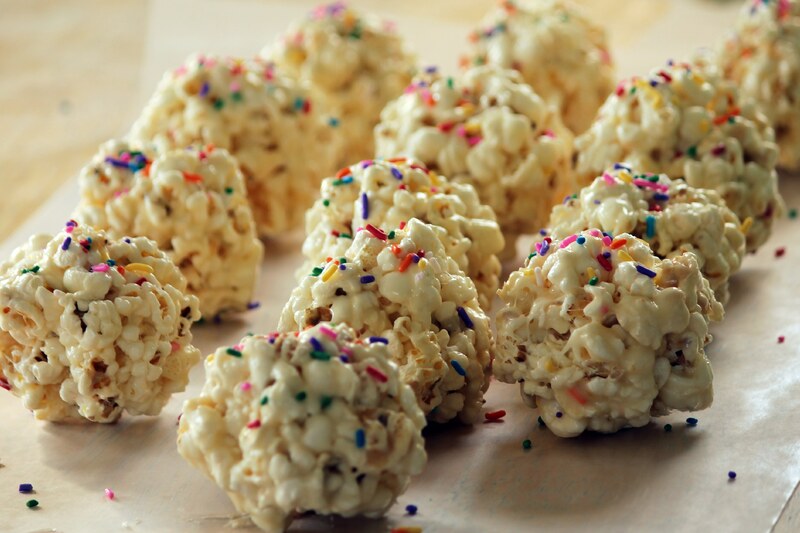 OR… you can make some delicious birthday cake popcorn balls! Set out a strip of wax or parchment paper (or a greased cookie sheet would be fine I’m sure). Take some extra butter and rub it all over your hands. This will keep your popcorn mixture from sticking to you. 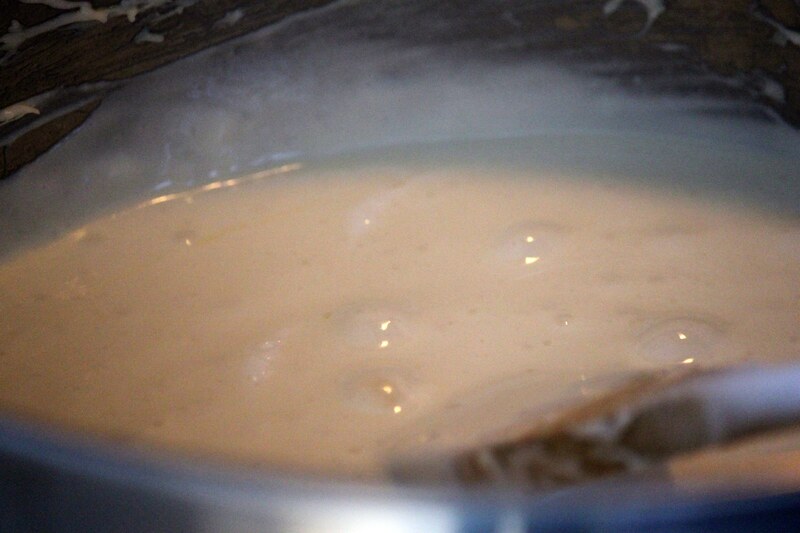 You will want to work quickly, before the mixture cools and hardens up… just use caution as the mixture might still be a little hot. If it’s too hot to work with let it cool for a minute or so. Then just take a handful and shape into a ball. I had to put just a little more butter on my hands between each one, or else it started sticking to me. Set them on the paper to cool. 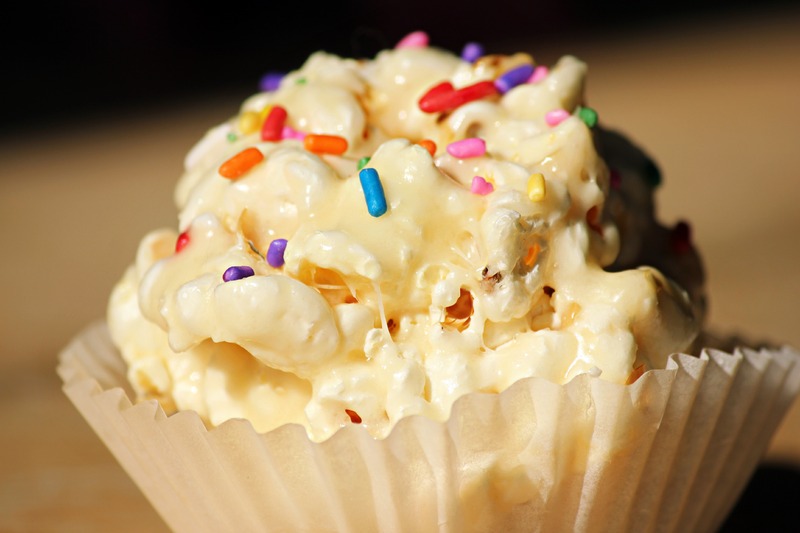 Once you have shaped all of your popcorn balls and washed the butter off of your hands, add some sprinkles. How many you end up with will depend on how big you make them. I got 13 from this batch. Aren’t they adorable? !